REF NO: 09/2018/19 This is a re-advertisement; candidates who previously applied are encouraged to reapply. Abet (Grade 10) plus 5 10 years experience in a heavy duty field. Valid unendorsed heavy duty drivers license (EC1 or EC) preferably with PDP for goods. Knowledge: Knowledge of transport policies, inter alia transport circular No 4 of 2000 and working procedures in respect of working environment. Transporting state vehicles to and from various merchants and collect those as and when they have been repaired or maintained. Collect quotations and invoices from different merchants and assist with puncture repairs. Assist with driving in and around town in case of delivering mail and other officials who brought vehicles for repairs and maintenance. Assist with completing check list for loaned vehicles when being issued out and upon return. Assist with the completion of log-sheet returns and conveying vehicles to fitment centres for maintenance. Ensuring cleanliness of state owned vehicles at all times. Ensuring roadworthiness and checking license discs if they have not expired. Being posted in standby functions. Mr. H. Strobl, Tel No: (018) 200 8143 67 OFFICE OF THE PREMIER The Office of the Premier is an equal employment opportunity and affirmative action employer and it is committed to the achievement and maintenance of diversity and equity in employment, especially in respect of race, gender and disability. People with disabilities who meet the requirements are encouraged to apply. 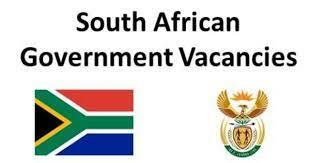 Employment Equity plan of the Office will be considered when filling these positions. Applications must be forwarded for attention: The Director General, Office of the Premier, Private Bag X129, Mmabatho, 2735. or hand deliver to Human Resource Management, Second Floor, Ga-rona Building, Mmabatho. Applications must be accompanied by Z83, obtainable from any Public Service Department, and should include a certified copy of ID, certificates and comprehensive CV with three contactable referees.